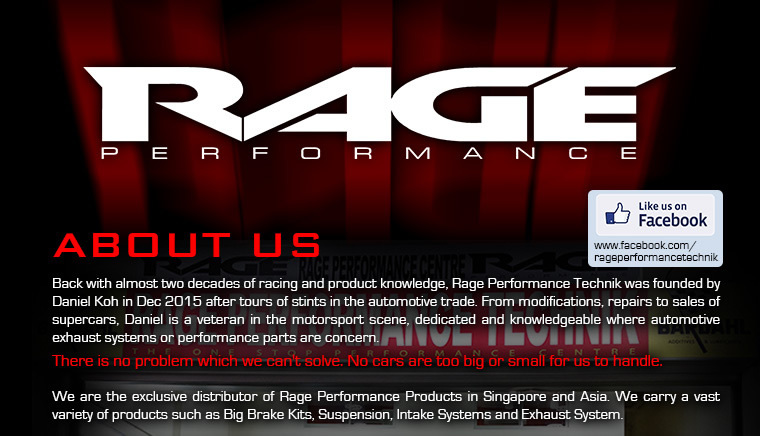 Founded by Daniel Koh, a veteran in automotive trade, Rage Performance Technik offers range of automotive services from basic maintenance, vehicle servicing, parts replacement to performance & handling enhancements. 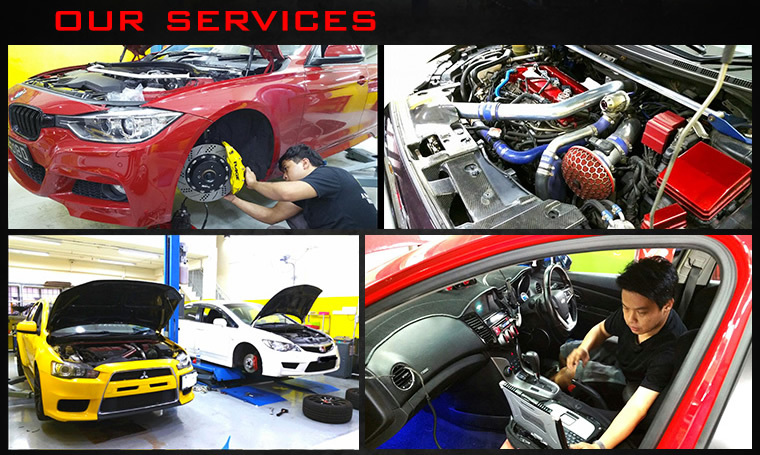 They also carry a vast variety of products such as big brake kits, suspension, intake systems and exhaust.Be it a simple installation or a complex major aftermarket build, they pledge to provide top notch service at all times and treat every customer's car like one of the crew's cars. 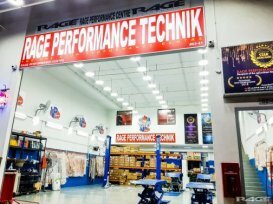 The team at Rage Performance Technik strongly believes that service standards and quality workmanship are of utmost importance in current days. 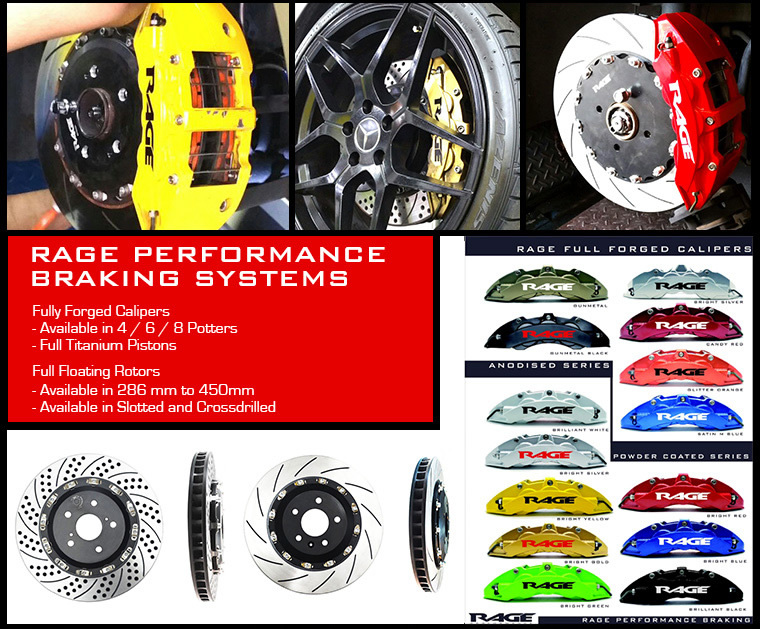 They also designed and developed their exclusive range of performance components of advanced technology and superior materials. 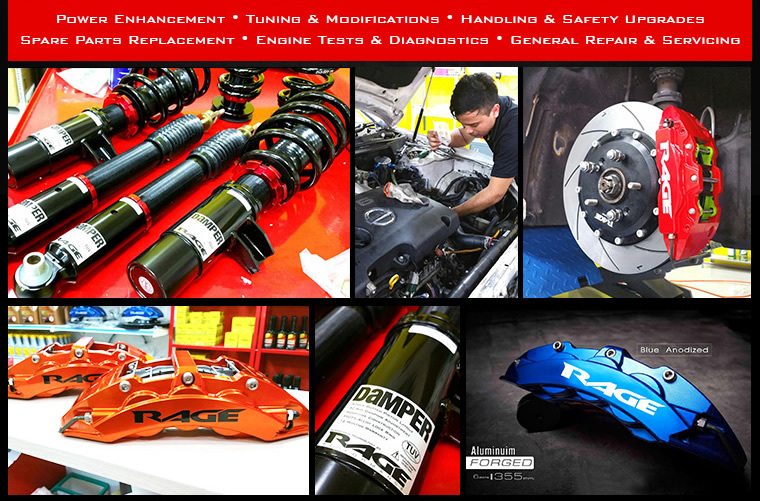 Rage Performance demonstrates strong technical expertise and their technical team always display a high level of technical competence and knowledge. 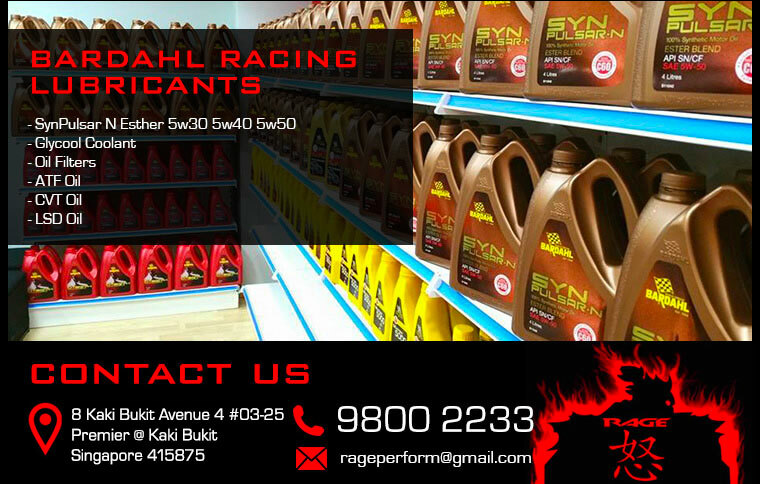 I can always entrust my car to them without any worries. Car owners that wanted coilover should go to Rage Performance. Car was in great condition after installed Brake kit Set and summit Racing products .And very good pricing . Being a newbie to Brake Kits, I seek advice from Daniel. He's professionalism has got me so impressed! I've decided to let him decide what's good for my Honda Fit..